If you are a member of the media and interested in learning more about the Highlands Whole Person Method or the Highlands Ability Battery (HAB), our life and career assessment program, please contact Kim Mumola at Kim@Highlandsco.com or 800.373.0083. In “What to Say When an Adult Child Needs Money Help” on Consumer Reports, Tobie Stranger discusses how to confront contentious money concerns. The New York Times mentions the Highlands Ability Battery in “Career Coaching for the Playdate Generation” as seen in the Education Life section. The Highlands Company authored “Natural Abilities: Beyond Basic Understanding” on the National Career Development Association’s Career Convergence Web Magazine. 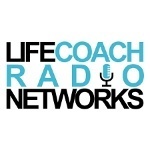 Dori Stiles, Ph.D., Director of Training and Research & Development for The Highlands Company is featured on BlogTalkRadio’s Life Coach Radio Network’s show, GET A JOB! 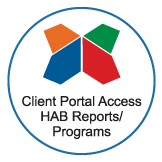 The HAB is included in a list of preferred career assessments for lawyers in an article written by Wendy Lerner, principal of Werner Associates, LLC, in an article written for the American Bar Association Law Practice Magazine. The HAB is mentioned favorably on The New York Times Room-for-Debate Blog. Read Sue Shellenbarger’s article “Grad Tidings: Can a Test Steer You to the Ideal Career?” in The Wall Street Journal where she describes the HAB. Highlands Consultant Thomas N. Tavantzis Ed.D., CEO of Innovative Management Development and Lazar Emanuel of the Highlands Company write a feature for the Association of Talent Development’s T & D magazine.